Boy Scout Troop 238 was first chartered in 1941 by the Welcome Grange #744 as Troop 38, Uwharrie Council BSA, and we have a proud tradition of delivering the scouting program to the youth in our area. Our troop has produced well in excess of 55 Eagle Scouts, many trained Scouters, and hundreds of fine young men. 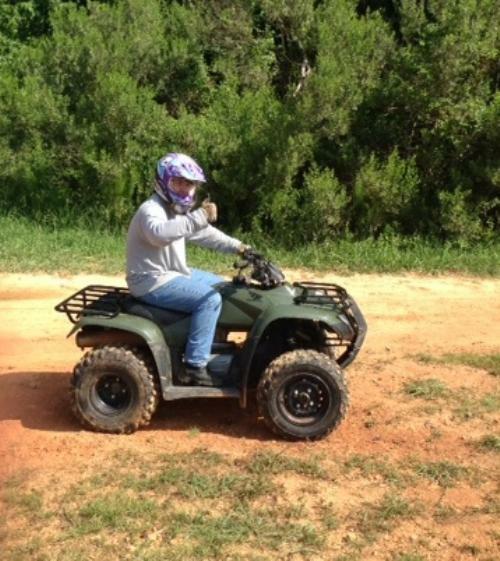 Our troop has the equipment and local facilities to deliver a first rate quality program. Troop 238 is the premium scouting unit in the North Davidson school district and surrounding area. 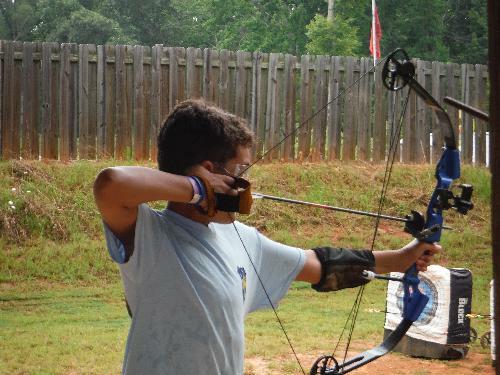 Many of our scouts go to North and we have and welcome home schooled and private schooled boys. We meet on Monday nights from 7:00-8:30 pm at Center UMC in the scout room, lower level rear of Center UMC in Welcome. The church is located at 186 Center Church Road in Welcome, NC. We are a family friendly troop, and we are looking forward to your participation in our troop. Our troop is boy led and has a great spirit and participation by all who join. For over 105 years, Scouting programs have instilled in youth the values found in the Scout Oath and Scout Law. Today, these values are just as relevant in helping youth grow to their full potential today as they were in 1910. Scouting helps youth develop academic skills, self-confidence, ethics, leadership skills, and citizenship skills that influence their adult lives. Try new things! Step out of your comfort zone! While various activities and other youth groups teach basic skills and promote teamwork, Scouting goes beyond that and encourages youth to achieve a deeper appreciation for service to others in their community. Scouting provides youth with a sense that they are important as individuals, regardless of whether a game is won or lost. Finally,Scouting promotes activities that lead to personal responsibility and high self-esteem. As a result, when hard decisions have to be made, peer pressure can be resisted and the right choices can be made. o 39 are Eagle Scouts. o 13.5 percent of cadets are Eagle Scouts. All levels of the Scouting program share three specific objectives: Character development, Citizenship training, and Personal fitness. No one can guarantee that every boy will turn out the same, but the scouting program works to instill the virtues of Character, Citizenship, and Fitness by using the tools (or the methods) of the program which have been in place for over 100 years now. How does the Boy Scout program do this? The uniform makes the Scout troop visible as a force for good and creates a positive youth image in the community. Boy Scouting is an action program, and wearing the uniform is an action that shows each Scout's commitment to the aims and purposes of Scouting. 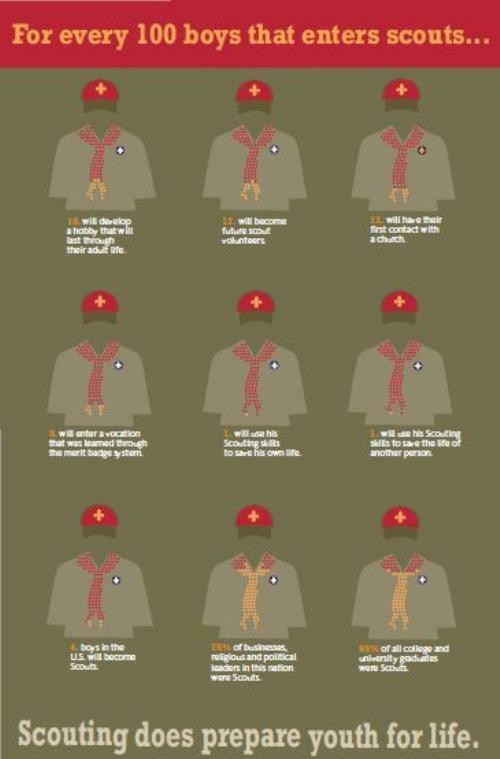 The uniform gives the Scout identity in a world brotherhood of youth who believe in the same ideals. The uniform is practical attire for Boy Scout activities and provides a way for Boy Scouts to wear the badges that show what they have accomplished.